Call of Duty: Modern Warfare Remastered shouldn’t be lumped in with all those lazy HD re-releases you’re sick of. Call of Duty: Infinite Warfare special editions include Call of Duty: Modern Warfare Remastered, and those who pre-ordered on PS4 are already playing the campaign thanks to Sony and Activision’s unflappable love affair. Since you can’t buy it separately, the prospect of revisiting Call of Duty Modern Warfare in HD was always going to be a heck of selling point for the controversially sci-fi leanings of Infinite Warfare – but it looks like the new version of the old classic is a lot more than a quick bit of clever marketing. A new report from Eurogamer‘s Digital Foundry goes into the group’s trademark fine detail on Call of Duty: Modern Warfare Remastered, and comes away with nothing but praise for a re-release it says is closer to a remake than a quick visual makeover. According to the group’s analysis, in addition to a bump up to 1080p Call of Duty: Modern Warfare Remastered boasts “new assets, upgraded effects work [and] more dynamic camera work for the cutscenes”. 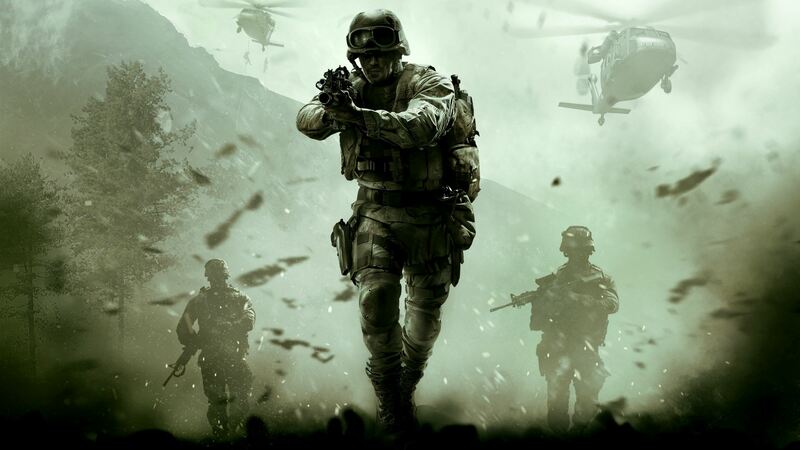 “In that sense, simply calling this latest version of Modern Warfare a remaster would be doing the game a disservice, when what we have here is a fully-fledged remake of a title that defined the last generation of first-person shooters,” the report asserts. Digital Foundry calls the resolution increase “arguably one of the least important upgrades” to Call of Duty: Modern Warfare Remastered, despite providing a “huge boost in overall image quality”. This continue through the whole game, but Digital Foundry also highlights new geometry on character models; new geometry, textures and reworked normal maps in the environments; and new shaders on everything which come “reasonably close” to the quality of all-modern games like Advanced Warfare and Black Ops 3. New lighting and effects lead to darker darkness and more realistic scenes. In short, it sounds like Call of Duty: Modern Warfare Remastered is a lot fancier than we’ve (sadly) become used to when it comes to HD re-releases. Do go read the full report for all the details.